Waterford Victoria Orchid Decorative Pillow, 14"Sq. 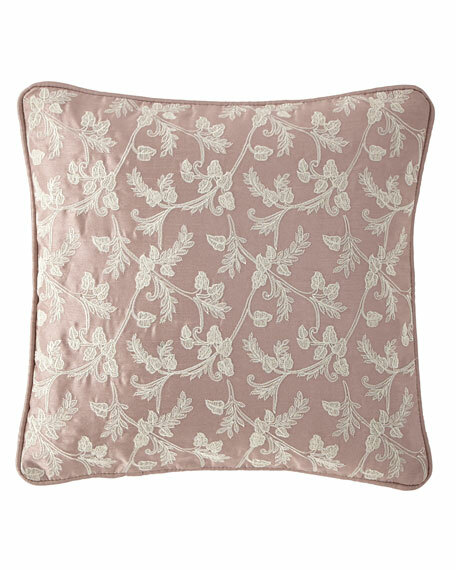 This Victoria decorative pillow is an elegant faux dupioni in a soft orchid color with delicate gold leaf embroidery. Embroidered pillow with cord edge.